Let me help you get all glammed up for the holidays. 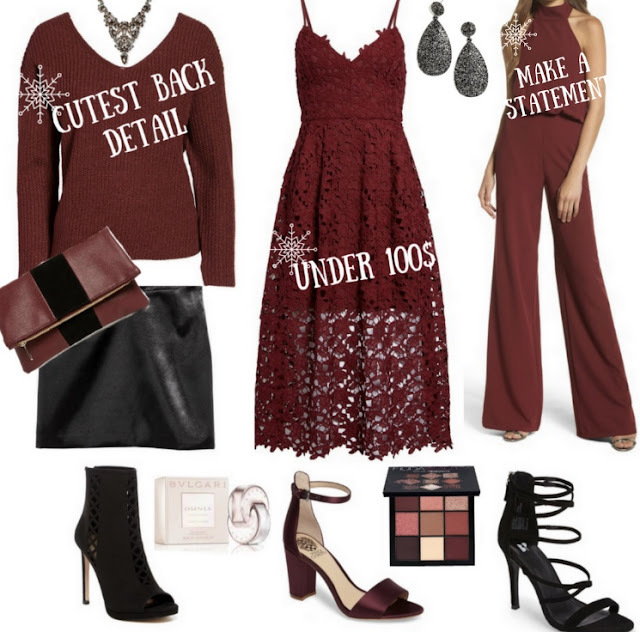 Whether you have a company work party, family get together, a winter wedding or you just want to look extra special for Thanksgiving and Christmas Ive put together 3 looks that are sure to impress. Although this place is probably not cheap, but they are centrally located, have fabulous staff and delicious food, and most importantly, the best views of the city. I would definitely recommend these San Francisco event venues for any kind of fancy event – all my friends talked about throwing parties here only. Nice look you have chosen for the party. Sticking customized buttons pins on your outfit makes your outfit more beautiful and attractive as you can choose what kind of customization you want on those button.